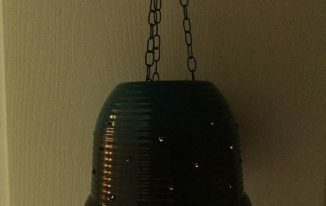 I love repurposing, recycling, upcycling, etc. I found this little jar and there were so many ideas floating through my head as to what it could be come. I finally decided with Halloween (one of my favorite Holidays) coming that it just needed to become a glittery ghost. 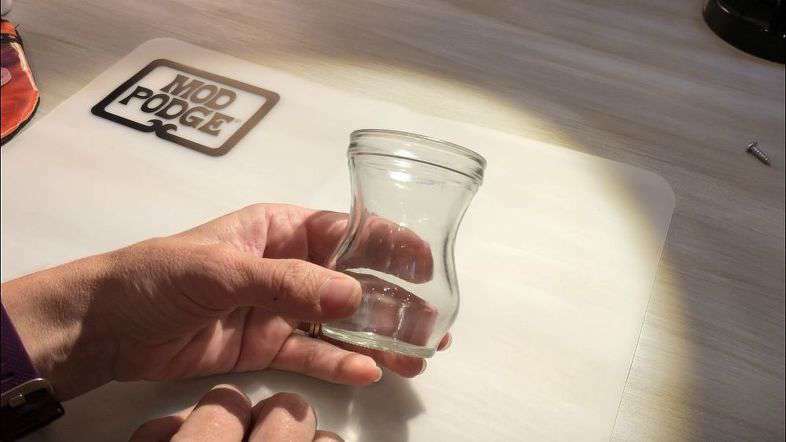 Here is the little jar that I found. I washed & dried it to make sure it was clean. 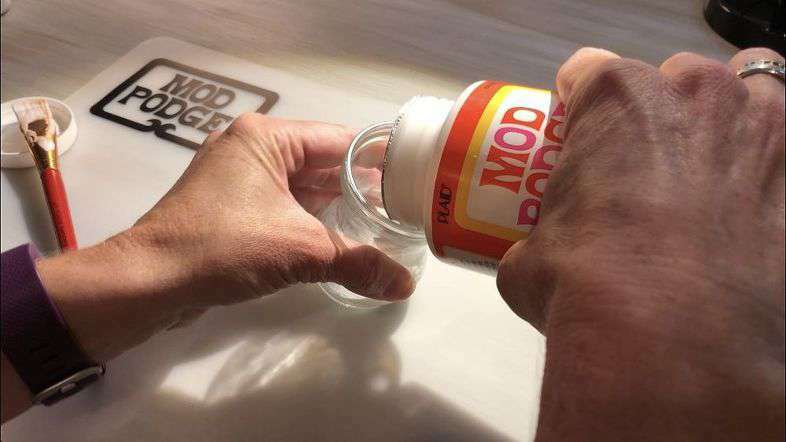 Using Mod Podge you can either paint the inside or your jar, or you can pour it into the jar. 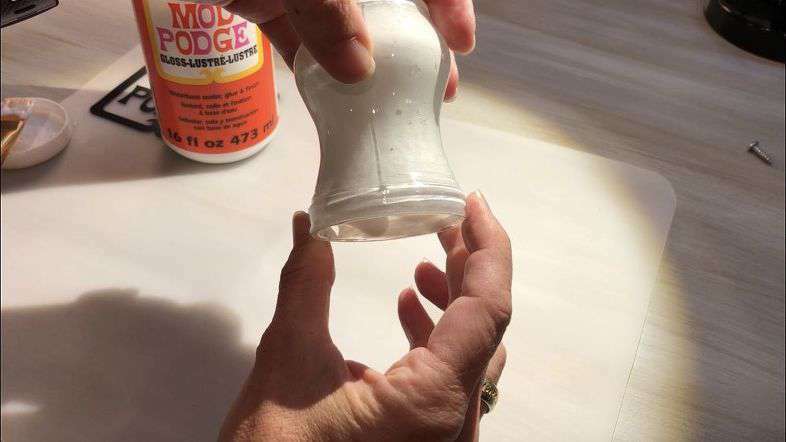 If you pour it into your jar, you will twist it around until it coats the entire jar and then pour out the extra back into your bottle. 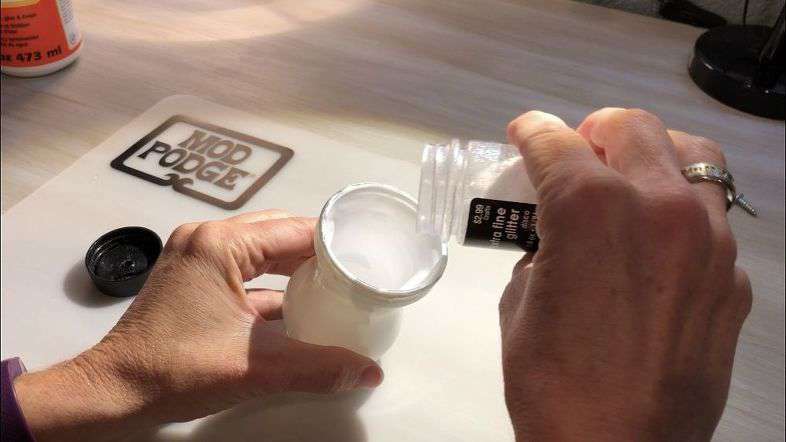 Pour in some glitter, twist the jar around until the glitter is all over the the Mod Podge. Pour out the extra glitter. If it’s dry, you can put it back inside your glitter jar. While the inside is drying use Black Apple Barrel Acrylic Paint and paint on some eyes. Let it dry completely and it’s ready. 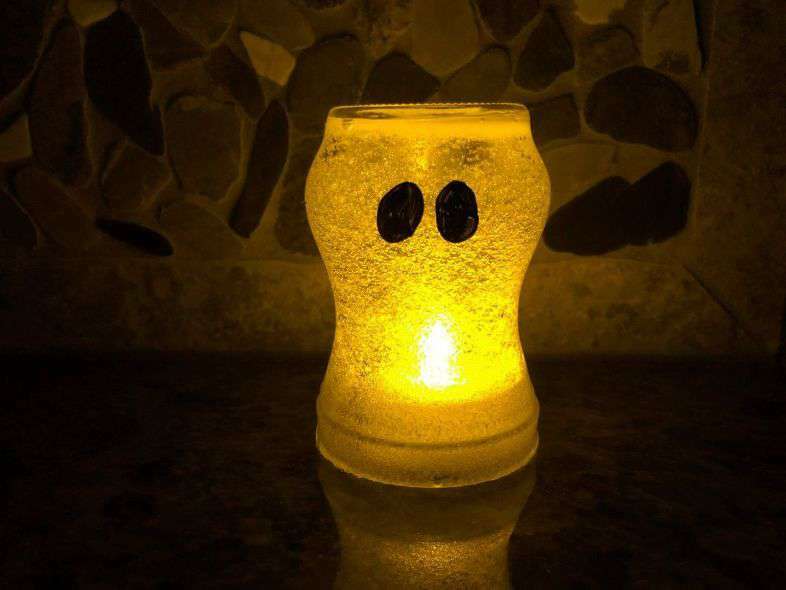 You can also add a battery operated tealight for some added fun. 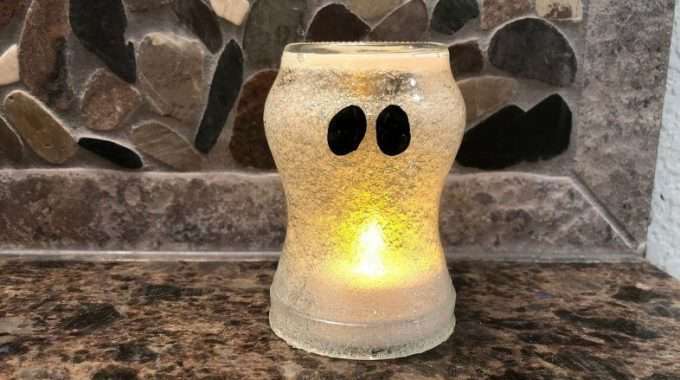 This project is great for all ages! 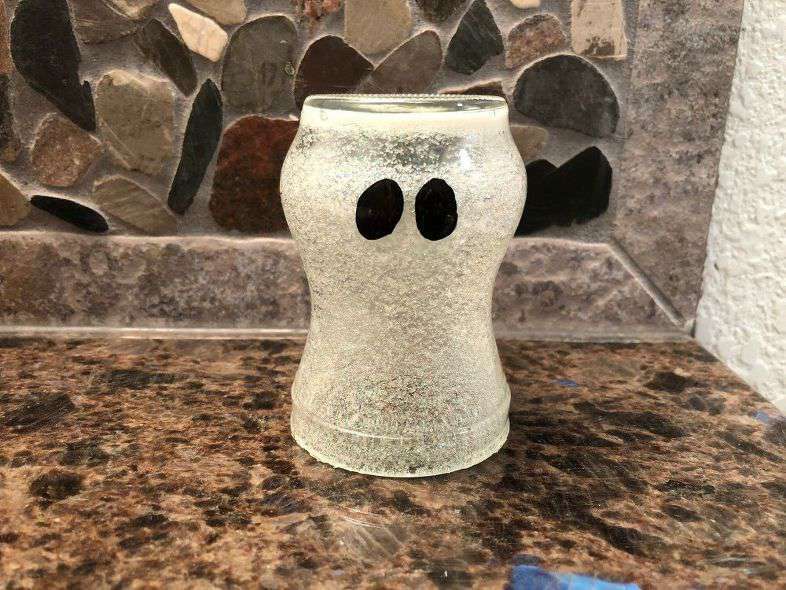 Click on the video below to watch me make this glittery ghost. Thank you so much Linda 🙂 They are so fun to make and now I’ll be making some with the kids soon too because they want to make one. Thank you and thanks for the invite, I’ll be sure to stop by. My son would love that! 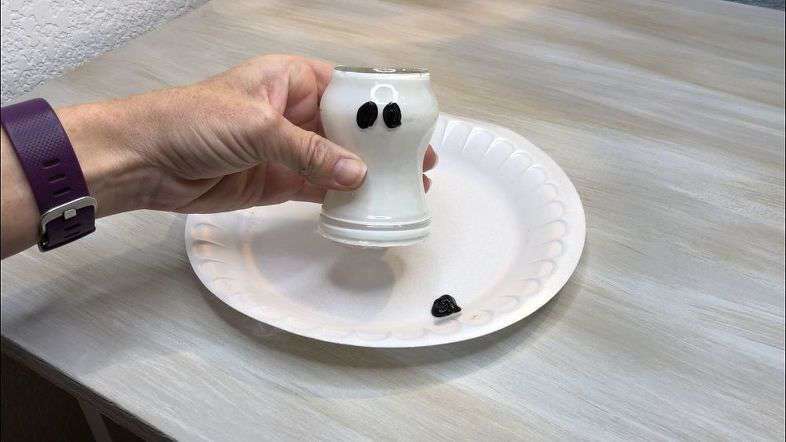 I’ll have to try and make one! Really cute! 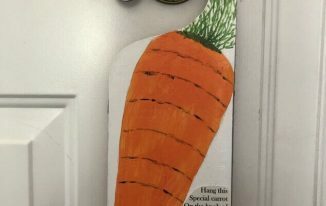 That looks like a fun craft for any age! 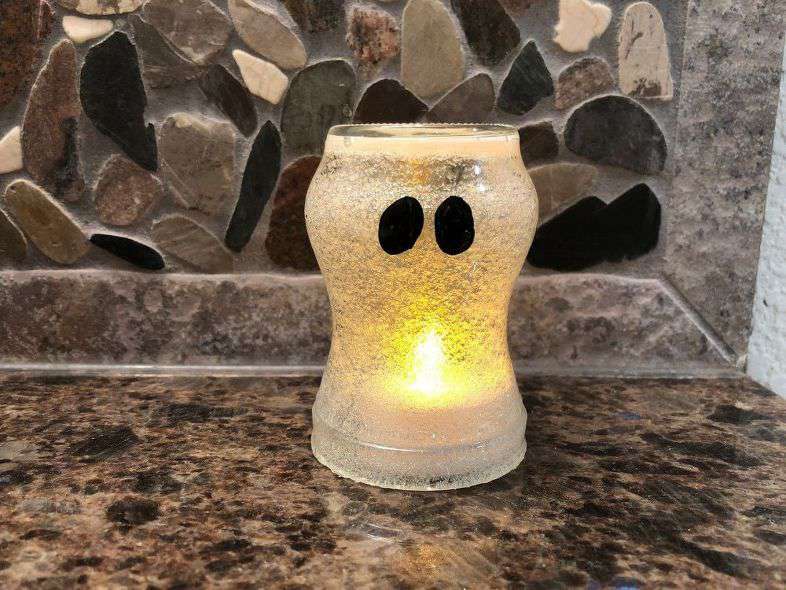 Thanks for sharing how to make the glittery ghost! Thank you so much Gayle, I appreciate it. Thank you Denise, and my daughter has told me she’s ready to make one for her room too. Congratulations! Your post was my feature pick at #WWBlogHop this week. 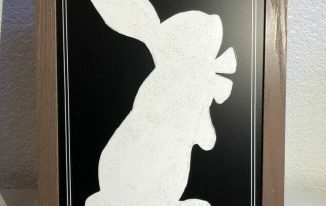 Visit me at https://www.marilynstreats.com on Tuesday evening to see your feature! All hosts choose their own features from the comments left on their blog so be sure to stop by and see your feaure. I invite you to leave more links to be shared and commented upon. Please be sure to leave your link number or post title so we can be sure to visit! You are just so sweet Marilyn, thank you so very much!!! It means so much to me and I completely appreciate it. I hope you have a wonderful week! This looks really cute. Loving this DIY. Thank you so very much Kathleen, I truly appreciate the feature. I didn’t know I had an error – I’ll look into that right away. Thanks! Thank you so much for the invite to join and I’m excited you want to give it a try. Visiting from the Blogger’s Pit Stop blog hop. I love this idea – pinned and trying! Thank you so much Helen and thanks for the Pin. I’m excited you want to give it a try. Thank you so much Donna and thanks for stopping by. Have a great weekend!